RMS Titanic was built in Belfast and largely staffed from Southampton. But the home city emblazoned on the bow of the ship was Liverpool. The White Star Company had their offices in this port. Much of the documentation for the doomed steam-ship lies here; and a lot of it is now on public view at the Merseyside Maritime Museum. That isn't all. Artifacts saved from the sinking, and others retrieved from the ocean bed, have found their way back to Liverpool. They are also poignantly on display. Located on Liverpool's Albert Dock, the Merseyside Maritime Museum stands at 63 feet tall. Its five storeys tower above you, as you stare up from the entrance door. This in itself is barely cause for remark. There are many tall buildings in Liverpool and this one isn't nearly the largest amongst them. However it's certainly a thought provoking moment, when you've just been told inside that this is nearly the height from which the lifeboats were lowered into the ocean from Titanic. Suddenly, in that vertigo inducing gaze upwards, you can understand very well why some passengers were too scared to step inside one, believing, as they did, that Titanic couldn't possibly sink. But it could, and it did; and on the 100th anniversary of that most commemorated of all disasters, I visited her home city to see the exhibits of original artifacts from the ship. Liverpool showed me the true human cost of the sinking of Titanic. It's located at the Albert Dock in Liverpool city center. 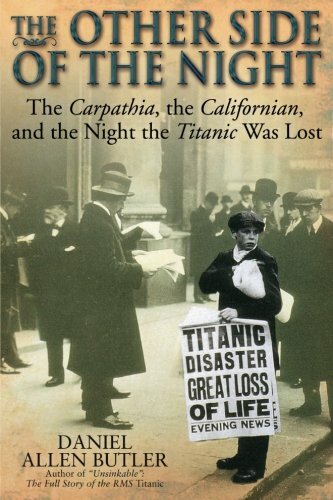 Each of the five Titanic cities held a series of events commemorating the disaster. But Liverpool had a little bit more to worry about too. 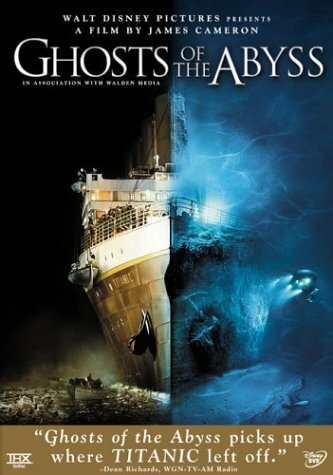 Told poignantly inside the exhibition, the story of Titanic is one of a series of seemingly disparate circumstances leading to a final conclusion. Without any of the associated tragedy, I found some measure of empathy as I entered the large building. I had originally been coming as one of a party of friends. Now I was arriving alone. April 15th is not a good day in the history of Liverpool. In 1912, it was the date upon which its most famous ship sank. In 1989, it was the date of one of football's greatest disasters. 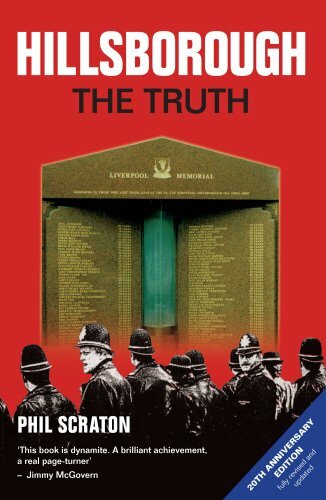 In the FA Cup semi-final, 96 Liverpool supporters lost their lives at Hillsborough. Fast forward to 2012 and both of the city's biggest football teams are meeting in the same semi-final game. It was due to be held on April 15th, but nobody wanted that. Liverpool FC requested that the match be brought forward a day. Everton and the football association naturally had no objections at all. Also in Liverpool is the world famous horse-racing event at Aintree. The Grand National occurs annually, as a three day gala, starting on the second Thursday in April. That placed the biggest and most anticipated final race this year onto April 14th. That meant that, on the 100th anniversary of the sinking of Titanic, its home city not only had to commemorate that, but also accommodate both of its teams in the FA Cup semi-final AND host the Grand National too. None of my Scouse friends were shifting from being in front of their television's sports channels. I was on my own. Buy these accounts to learn more about everything that city planners had to factor in during that weekend. This ship is so familiar, but until you see it up close you realise that you've never really seen it before. 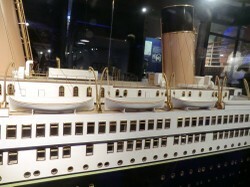 You can't miss the replica model of Titanic. It's eighteen feet long and right inside the entrance door to the Titanic exhibition. The Merseyside Maritime Museum is full of people and every one of them has crowded around this glass casing. Expressions become sombre, as the replica reveals its secrets. The cabins behind those portholes in the side would have held steerage people, most of whom died. Those lifeboats just weren't enough. That look-out mast held no binoculars. That mid-section would have snapped in two. That stern would have risen into the air. That funnel would have fallen. And that bow is totally different to the one on which Rose and Jack posed for their famous scene in James Cameron's Titanic. I watched so many people frown, whilst glancing at it, then taking a second look. It became darkly amusing after a while, but then I hadn't yet stepped into the rest of the exhibition. The reality hadn't yet entirely sunk in. The museum's curators have a whole line in correcting the historical inaccuracies of the famous film. The facts from it have started to superimpose themselves upon the collective memories of their visitors. And it all starts here, with that ship and that bow. It's not merely a replica. 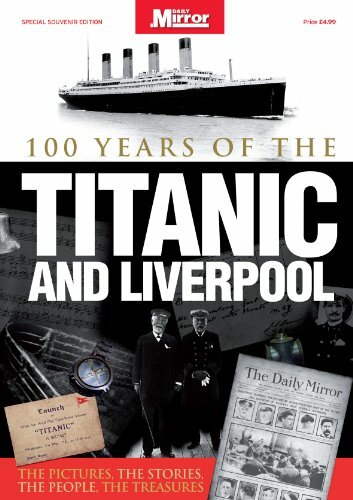 Liverpool is the registered home of Titanic. The White Star offices were just down the road. This is the original model created so that construction workers in Belfast could consult it, as they built Titanic. A curator told me that they've been offered undisclosed large sums of money from various sources over the years to part with it. But the city is never giving up its builders model. If people want to view it, then they will have to travel to Liverpool to do so. Read these sources to learn more about the links between the city and its most famous ship. Looking at these exhibits quickly moves you away from entertainment or diversion and into the reality of the situation. It was the dress which got me. Perhaps it's because its full length made it seem like there was a real person standing there, behind the glass. No artifact, no history, no removal in time and space, but the true humanity behind a disaster. It was obvious, being there, looking at the exhibit, that Laura Mabel Francatelli was not present. No hands peeped from beneath her sleeves; the collar ended in a mannequin's neck stump. But she might as well have been. As the maid to Lady Duff Gordon, Ms Francatelli was one of the first people carried to safety off the sinking ship. Her lifeboat was famously lowered too early with too few individuals in it. When that happened, she was wearing that dress with its protective apron. The dress behind the glass was on the decks of Titanic. It was worn in a lifeboat. It was carried onto Carpathia. The watch fob set beside it should have been more poignant. There was a story attached to that of romance and newlyweds; a young man lost at sea. But my eyes kept being drawn back to the dress. The historian's calm and objective reserve slipped away. Titanic really happened. Beyond any film that Hollywood could chuck at it; nor any exhibition in a myriad of museums. People died or were saved that night 100 years ago (way too few of the latter); and this dress was there. The contents of the cabinet shook me. Less than a fortnight before visiting the Merseyside Maritime Museum, I had been writing for Wizzley about Titanic and the Suffragettes. It was very fresh in my mind. 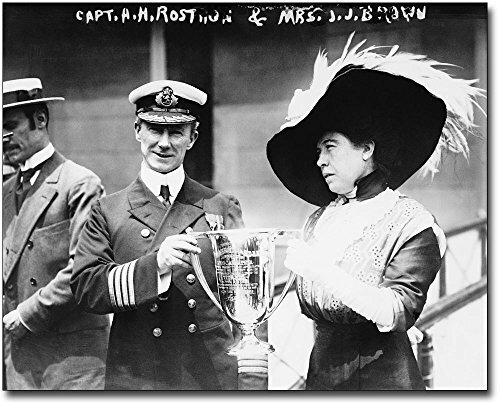 In that article, I'd talked about how a famous American women's rights activist named Molly Brown had survived Titanic. 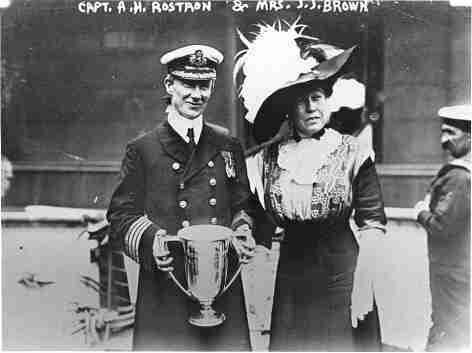 She had been prominent enough to be chosen to present the Carpathia's Captain Arthur Rostron with a trophy. It was in thanks for coming to their rescue and carrying all who survived away from that terrible scene. The Loving Cup was right here now, in front of my eyes. Last seen in a black and white photograph dated with the age. Now just a glass pane away from my fingertips. I could read the inscription upon it. I could see my reflection in its polished surface. No-one could enter this exhibition without history coming to life and asserting its position here, in the everyday present. This cup was just one example why that is so. 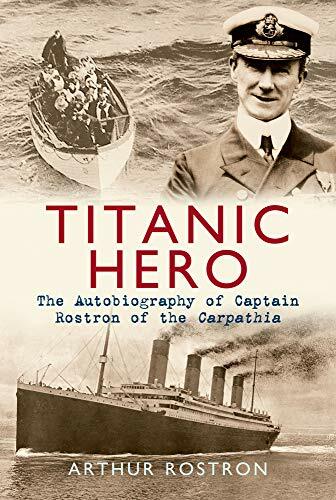 Buy these accounts to learn more about the man who spear-headed the rescue mission to bring Titanic's survivors home. Hundreds of artifacts awaited the gaze and contemplation of visitors. But should they all have been there? 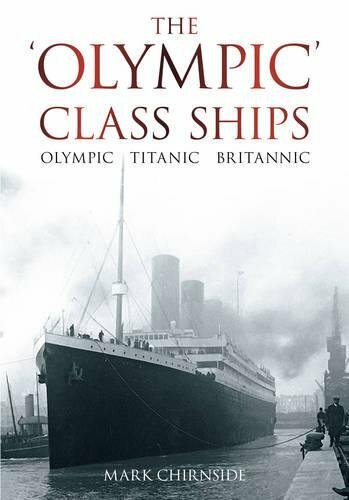 Two floors of the museum are devoted to Titanic and other famous Liverpudlian ships, like Lusitania, Empress of Ireland, Olympic and Britannic. There are a lot of artifacts to see. There are sheaths of telegrams taken from Carpathia, exactly as they were written that night in April 1912. The calls for help; the standard SOS language, interspersed with very human sentiments. There are letters sent to or from passengers on Titanic. I stared for a very long time at the telegram dome used to send these. Green with erosion, it had been salvaged from the bottom of the Atlantic, along with chamber pots, cups, spectacles, letter openers and a host of other personal belongings. These things are as fascinating as they are controversial. 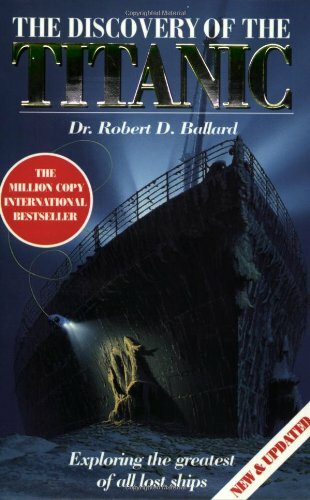 Robert D. Ballard, who found the final resting place of Titanic, is at the forefront of those who believe nothing should be touched. Cultural obsession should not lead to grave-robbing, no matter how big the Hollywood films. Others argue that everything there will eventually disappear, as the sea pressure and organisms within it do their destructive work. These reclaimed effects help piece together a story, which might save lives in the future. The debate rages on, but for myself, standing in front of a long glass cabinet looking at them, I had no words. These items, more than any other, starkly tell of the scale of the tragedy; and it was the human being, not the academic, who heard it. 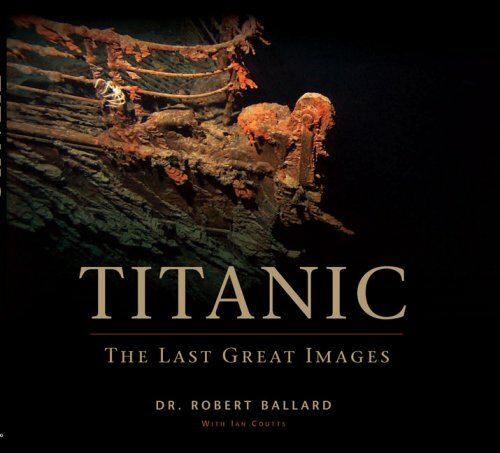 Ballard's account and photographs show the Titanic as he found it. Cameron's cinematic journey uses robots to film deep inside the wreck. Should Titanic items be salvaged from the ocean floor? Museums and auction houses all over the world have catalogues full of these artifacts. There have been seven expeditions to date with the express purpose of collecting things for sale or exhibit. It helps us to remember, and brings us closer to the reality, instead of knowin it as a story. I believe keeping these items to remember honors the victims of the Titanic. Not everything was behind perspex. There was a complete audio-visual experience too. As this was the 100th anniversary of Titanic sinking, it was standing room only in the Merseyside Maritime Museum. At one point, I actually felt quite claustrophobic and needed to move out, but the sheer crowds turned the free-standing exhibits into a maze. I found myself trapped before a wide screen showing black and white film of an ice-field. It had been captured just days after Titanic sank. One large iceberg had a broad wedge knocked out of it. I stood still, transfixed, while haunting music filled my ears. There was a live orchestral band in here, dotted around the vast room. They were playing an arrangement of the hymn, 'Nearer, My God, To Thee'. It was the music which so many survivors reported hearing Titanic's band playing, even as the ship listed dangerously in the frozen Atlantic. Another section showed Pathe news reels from Titanic. So much footage survives. 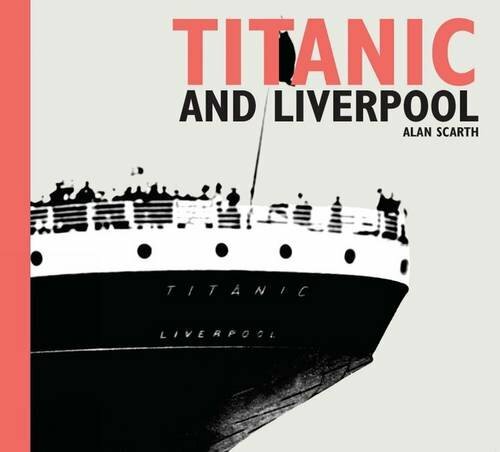 We saw its leaving; we walked on its decks, as it neared Cork for the final pick ups; we saw the anxious people awaiting news at the White Star offices; we saw the survivors returning to Liverpool. All of this seated in turn of the century theater chairs. A circular theater screen told the stories of individual passengers. I'm partially deaf, but this was no barrier to immersion into this experience. I understand (from the lady sitting next to me) that actors spoke the words, but they were also mirrored as sub-titles on the screen. I followed everything. Then, just when your senses are utterly overwhelmed with the enormity of it all, you step out into a room with the passenger lists on the wall. So easy to see, at a glance there, how class played a part in survival. The names are color coded to demonstrate who lived and died. I found my own surname there. A first class valet named Charles Henry Harrington died on Titanic. Over in steerage, three brothers bearing my mother's maiden name equally met their deaths. Leonard, Lewis and Stanley Hickman are almost certainly related to me, if we go far enough back, as the name has a very limited etymology. I left feeling quite stunned, but that needn't have been the end of the experience. Dotted around the city itself are more buildings and memorials to the disaster. If I'd have taken a map, I could have done a walking tour of Liverpool and seen them all. Anfield isn't a billion miles away, so you could do both. The only restriction is time. The Titanic Exhibition isn't the only one at the Merseyside Maritime Museum. There were equally fascinating exhibits on the Lusitania and Empress, as well as an immigration one downstairs and a truly poignant and shocking slavery museum upstairs. I lost the entire day in there and could still have seen more. Uh, I so want to go here. Although, if I ever get to Liverpool, I'm probably first gonna go to Anfield and sing "You'll never walk alone" with the Reds. But visiting this museum will be on top of my list, too. Great job with photos. Beautiful article. I'd certainly go back with you. It was a fascinating exhibition, but very crowded on the day that I went, because of the date. It's hard to explain what it was like there. I thought I'd walked in as an historian, ready to be fascinated by history. What I was confronted by time and again was the human side to all of this. I'm very glad that I went there though. It was fascinating, don't get me wrong, but it was also informative on some soul level. I sound like a hopeless hippy now, don't I? Yes, it was very moving. Excellent article, Jo! 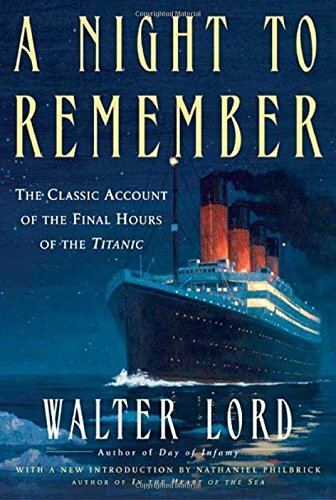 I love reading and hearing about those real life stories from Titanic. And I would love to visit one of those exibits, to see those real artifacts from Titanic. Being close to plates and clothes used by Titanic passengers, it must be great feeling and quite thought provoking.